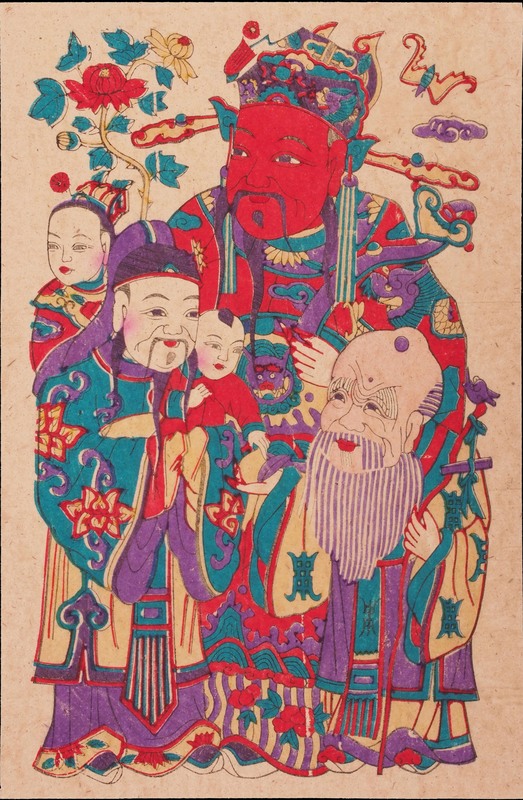 The recent generations of the Chinese are familiar with the Gods – Fu Lu Shou, the trio that stood in the prime location of the living room almost like an alter piece. Its only recently that I discovered that they are no a trio but a group of five! Nowadays rarely seen together, the five are made up of Fu, Lu, Shou, Xi and Cai. In this print, the trio are Fu in the middle with Shou on the right and Xi on the left.